There’s no better way to stick with staying organized than with self-laminating labels. Made from a clear, heavyweight substrate to create a surface that’s tear resistant, waterproof and long lasting. Ideal for organizing and identifying containers, equipment and inventory spaces. 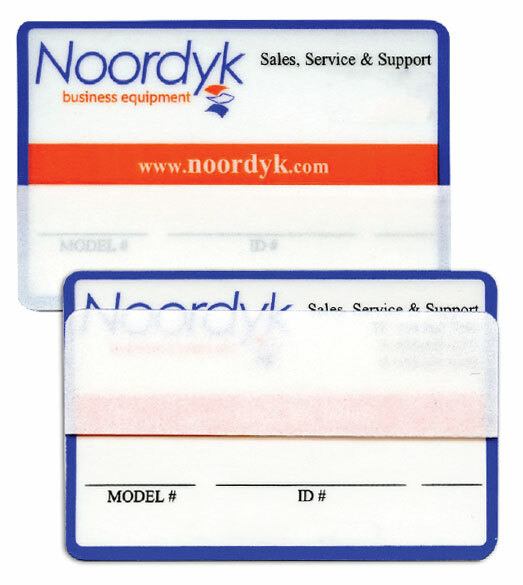 Self-laminating labels allow indoor/outdoor protection over written or printed information.